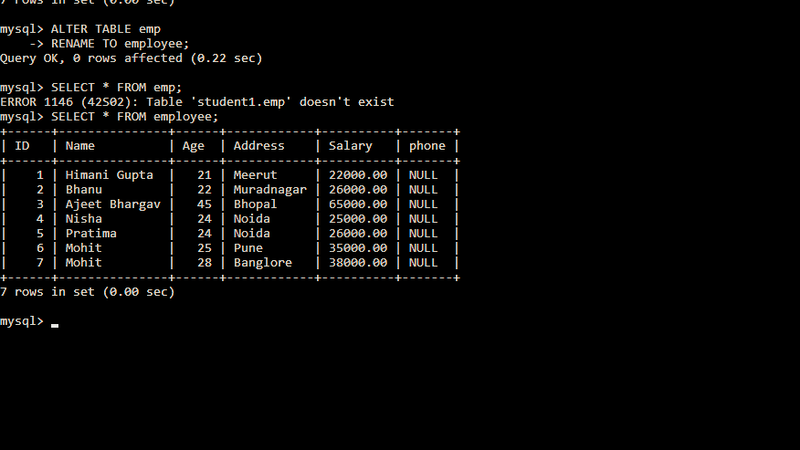 Home education SQL Learn SQL:Use Of Alter Statement/Command, With Example and Important Interview Questions. 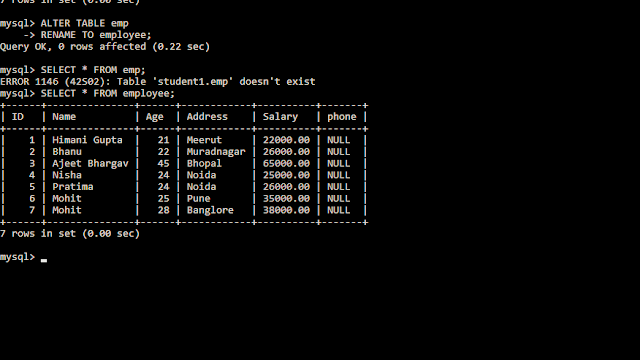 Learn SQL:Use Of Alter Statement/Command, With Example and Important Interview Questions. 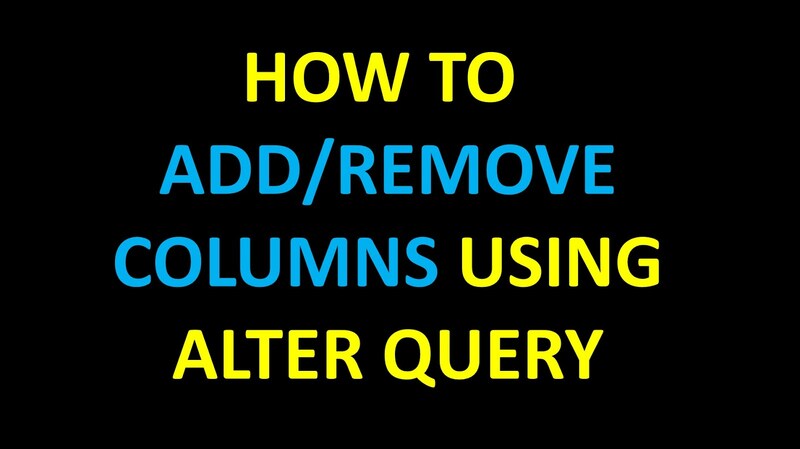 Learn SQL: How to use Alter Query, to Add/Remove Columns. 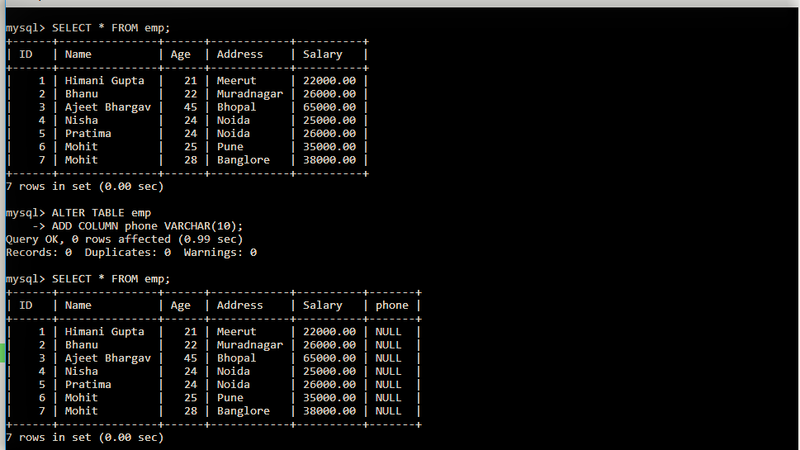 This command is used to change, modify, delete and also to rename the existing columns of the table. 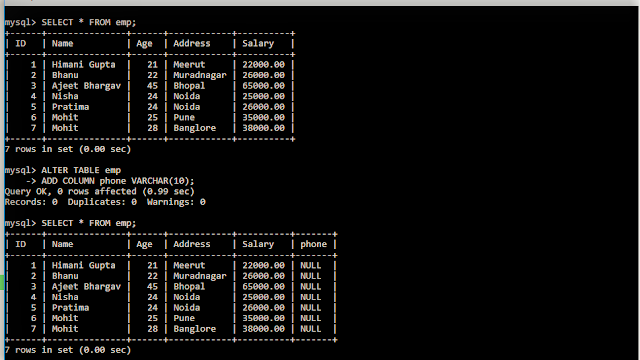 The ALTER Command allows you to change almost everything in the table without having to reinsert the data. But be careful, if we change a column of one data type to a different one, we have risk of losing the data. If you write whole statement in one line then it will give an error. Because firstly we have to apply a command for alter the table which reaches to the database that someone want to make changes in the table and then on next line write what you want to change. MODIFY Command is used to change the datatype of columns. For Example: Suppose you define CHAR datatype for address and now you have to enter some integer values in it. For this, you need VARCHAR. 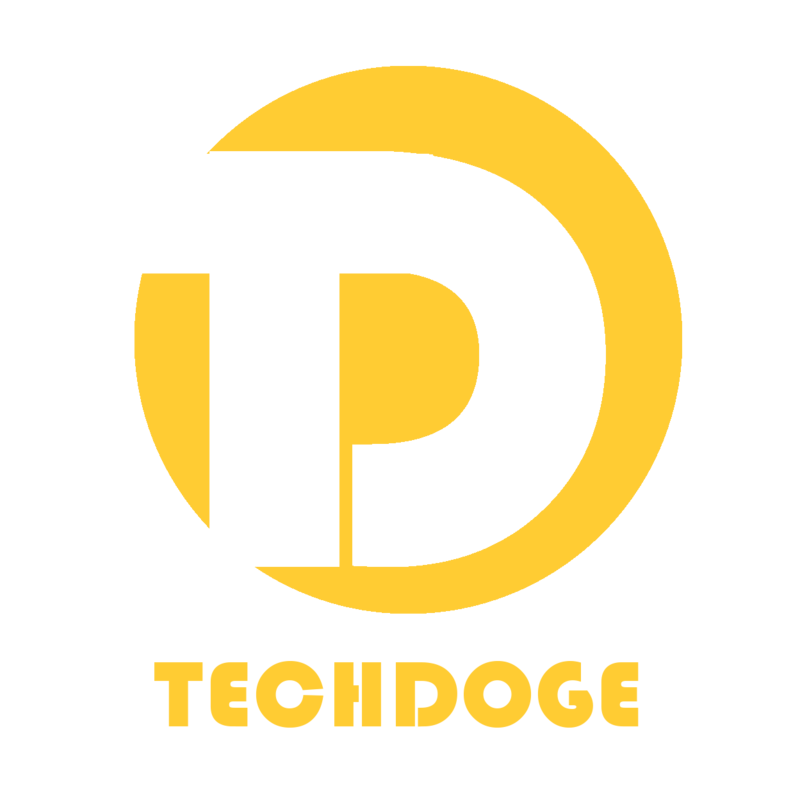 We use RENAME command for changing the name of the table.